Hanoi (VNA) - Taxi firms are bristling over a draft regulation that will place greater restrictions over their operations in the capital city. They say the new rules will make it even more difficult for them to survive. The Hanoi Department of Transport (DoT) is collecting feedback on a draft regulation dealing with the public transportation services by car within the city limits. The city’s authorities believe that restrictions contained in the regulation, set to be approved by the end of 2017, are needed to exert greater traffic control. Representatives of the Hanoi Taxi Association (HTA) and other taxi firms have responded negatively to the proposed restrictions, saying they could drive them into bankruptcy. A major sticking point for the firms is a provision that says taxis will only be allowed to pick up passengers in the area where the vehicles are registered, and will not be allowed to park or pick up passengers from elsewhere. Practically, this means that Hanoi will be divided into two areas numbered one and two. Number one will cover districts within the city limit and number two will encompass districts in the city’s extended areas. Depending on their license plates, taxis will not be allowed to park and wait for passengers in areas that they are not assigned. They can, of course drop off passengers anywhere in the city from their assigned areas. This will require all taxis to follow strict regulations on several aspects of their operations, including pickup and drop-off zones and handover times for each shift and location. For instance, within a month, a taxi must maintain a minimum of 70 percent of its operating time within its assigned region, and is only allowed to stop for passengers for a maximum of two minutes at pickup and drop-off zones. The draft also prevents taxis from freely staying in public parking lots reserved for hired vehicles for more than twenty minutes while they wait for passengers in their assigned area. After 20 minutes, taxis must either move out from the parking lot or pay extra money to stay. He said the boundary between the two areas might not be distinguishable at all times for drivers to comply with the rules. “The division between administrative regions would increase the empty distance that taxi drivers cover, travelling back and forth from one area to the other without a passenger, since they are not allowed to pick up anyone outside their assigned region. This will push up sunk costs in operation and monitoring, and lower competitiveness,” Binh said. Another rule that the firms are not happy with will require all commercial automobiles within Hanoi to have the same colour that will be announced in 2018. Under the proposed rule, from 2019 to 2024, all new taxis operating in the city will have to sport this colour, while the older models must comply by the end of 2025. Yet another rule that the city wants to impose is that commercial vehicles older than eight years are replaced with newer models to avoid malfunction and pollution. The DoT also proposes that from July 1, 2018, all vehicles for hire must use a support booking app, whose data will be taken from a meter placed in the car and fed directly to the city’s central traffic monitor system. Binh wondered if the cost of operating such a database would be borne by the city’s budget or by the firms themselves. 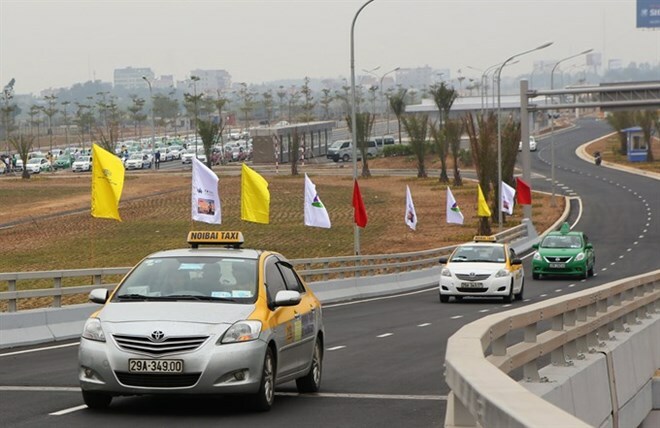 A representative from the Mai Linh Northern Corp, a subsidiary of the well known Mai Linh Group, said they do not expect all taxi firms to be treated alike. Both the HTA and commercial taxi firms expressed worry about the possible loss of identity with the use of the same colour across different taxi brands. Firms with a stable number of operating vehicles will find it difficult to replace older ones, and it would also be wasteful. They also expressed concerns over the possible harm to their brand image, and some of the lesser brands could piggyback on the reputation of bigger ones. This carries the risk of impostor firms and the possibility of passengers being cheated, they said.